The 2019 iteration of KPU’s annual documentary film festival has been cancelled. The founder and primary organizer of KDocs, Janice Morris, regrets that she didn’t have the time to properly plan the 2019 festival due to personal circumstances, but reassures fans that it will be back in 2020. Other facets of KDocs, including its outreach program and smaller community-based events on campus, will continue to be held throughout the semester. Morris had already considered about 300 films and put about 100 hours of work into KDocs 2019 before she made the decision to cancel it. In April, with her husband in palliative care, Morris wasn’t certain whether or not she would be able to finish the job. She will be returning this January with a special Valentine’s Day KDocs screening of RBG and Won’t You Be My Neighbour? The link between these two films, Morris says, is that they explore “the power of the individual and how that individual circulates within the larger community.” She hopes that they will inspire attendees to consider what it means to intelligently unite communities and strive for social change. On Oct. 12, KDocs helped organize a screening and panel discussion for a three-day conference by the Burns Bog Conservation society about the importance of peatlands. 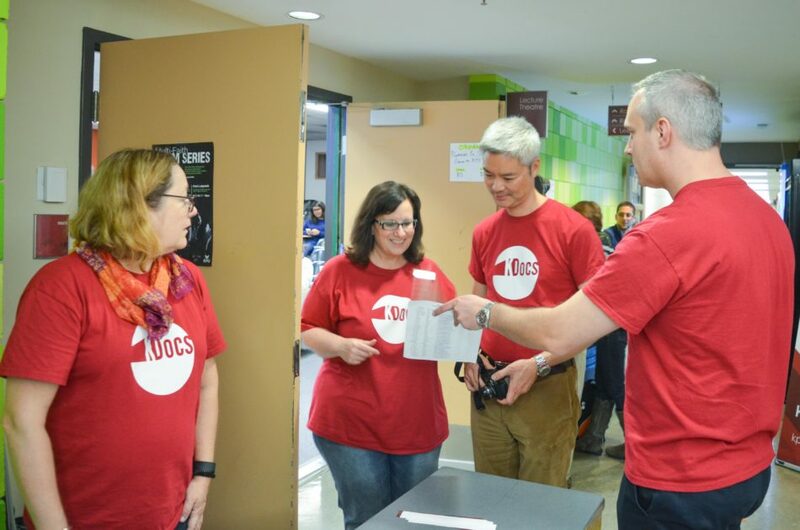 The organization has also recently welcomed new members onto its board—including KPU instructors Jennifer Hardwick and Rajiv Jhangiani—who will share the responsibilities of carrying out the operations of KDocs. One of the biggest changes is the expansion of KDocs’ outreach program. Headed by instructor Greg Chan, the program has led to the creation of promotional and educational videos for internal groups like the Faculty of English at KPU and the Phoenix Kwantlen Learning Centre, a resource for adult learners who may be in treatment for substance abuse issues. Outside of the KPU community, Morris will also be talking publicly about the potential of film festivals as sites of community building and activism, and KDocs is hoping to work with the Surrey Council and Surrey City Lab to host events in the future.